Even taking into account its many recent international difficulties, Switzerland remains as one of the best all-around asset and financial havens in the world—that’s my considered opinion of Switzerland as a place for investment management, annuities and insurance. For these aspects of sound asset protection, the Swiss are still best in my view. But in the past few years, Switzerland’s bank laws have fallen under the international spotlight—and the government has reacted accordingly. Two years ago, Switzerland’s governing Federal Council officially announced that it no longer wanted “undeclared, untaxed funds from overseas.” They promised to act to “regularize untaxed assets” in Swiss banks and keep out new, untaxed cash locally known as “Schwarzgeld,” or black money. What prompted such a mea culpa was the major crisis produced by years of secret collusion on the part of the inept banking giant UBS, who conspired with several thousand of their American account holders. Exposed by the U.S. Internal Revenue Service and indicted by the U.S. Justice Department in 2008, UBS faced closure of its American branches with over 20,000 employees. UBS was forced to admit its guilt. Worse still in the eyes of the world, Switzerland’s traditional reputation for financial integrity was badly damaged. UBS secretly assisted an estimated 4,500 American clients in illegal evasion of U.S. taxes from 2001 to 2006. Ultimately, UBS paid a $780 million fine to settle the U.S. tax fraud lawsuit which also sought the names of 55,000 U.S. clients. In 2010, UBS surrendered 4,500 of those names to the IRS. The horrendous damage done by the UBS scandal only multiplied when, later, a total of nine other Swiss banks came under what is still a continuing investigation by the IRS. The political response by the governing Swiss Federal Council and the parliament, under heavy pressure from Swiss bankers, in effect repealed the Swiss Bank Secrecy Law of 1934, a law that always, and to this day, has had solid majority support among the Swiss people. It was this law that attracted the trillions in assets Switzerland held and managed for the world. So while Swiss bank secrecy is still alive, it’s in a much weakened condition. Now the second blow has landed: A special Swiss tax break for wealthy foreign residents that dates back to 1862 is under serious attack. Under this lump sum taxation system, known in French as forfait fiscal, foreigners paid an average $78,400 in annual taxes in 2010, earning Switzerland the tidy revenue sum of $710 million. Resident foreigners are allowed to negotiate a fixed tax rate based on their Swiss property, but excluding their non-Swiss income. Leftwing political parties argue this preferential tax treatment violates the constitution, while supporters say that higher taxes will lead to an exodus of needed wealthy taxpayers. The tax indirectly helps finance more than 20,000 jobs, particularly in remote regions and mountain resorts. 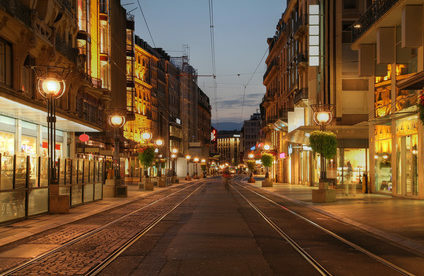 Forfaits have caused resentment among the Swiss because the top income tax locals must pay exceeds 40% in cantons such as Geneva. Since 2009, five of the 26 Swiss cantons have repealed the break, while another five have kept the tax break but increased the taxes on foreigners. What’s on the cards now could really be a tax bombshell that will hurt the Swiss economy badly—if it is allowed to happen. Under Switzerland’s federalist system, each canton has wide powers to set individual and corporate taxes that are paid to both cantonal and federal authorities, but at different rates. For years, the EU bureaucrats have been demanding Swiss authorities end the practice by some cantons that exempt company profits generated in EU countries from taxes, claiming this violates a 1972 free trade treaty. The average cantonal preferential tax rate for “special status” companies that earn the majority of their profits outside of Switzerland is a very low 11%. Firms that do not get such treatment end up paying around 24% in taxes. Indeed, combined Swiss corporate taxes are less than 30%, the second lowest in Europe, and the envy of its high-tax neighbors Germany (51%), France (66%) and Italy (76%). Yahoo, Google, Procter & Gamble, Colgate-Palmolive and Kraft Foods have all elected to site their European headquarters in Switzerland after leaving the high-tax U.K. Geneva is now the leading center for world oil trading, and companies in Zug have a large share of the international minerals and metals markets. Once again, the EU is putting pressure on the Swiss government to end “unfair, uncompetitive” cantonal corporate tax practices that attract so many foreign firms. It’s not all doom and gloom in Switzerland though—and, as I said before, this is still one of the world’s top offshore havens. The Confederation of Switzerland and its people are survivors, and rich ones at that. This nation manages nearly one-tenth of the world’s offshore cash and assets, over $4 trillion for people all over the world, and they have done this successfully for centuries. I believe that the Swiss, far more than their politicians, will have the courage to withstand future radical demands for unneeded compromise. The new Switzerland requires some mental adjustment for those who know its past, but it still remains the world’s leading offshore center in every area you may need to grow and protect your wealth—a strong currency, private banking, insurance, annuities and excellent investment management. Editor’s Note: Bob Bauman can tell you more about the advantages of Switzerland as an offshore haven in his book, Where to Stash Your Cash Legally, as well as the other 33 best places to stash your cash around the world.